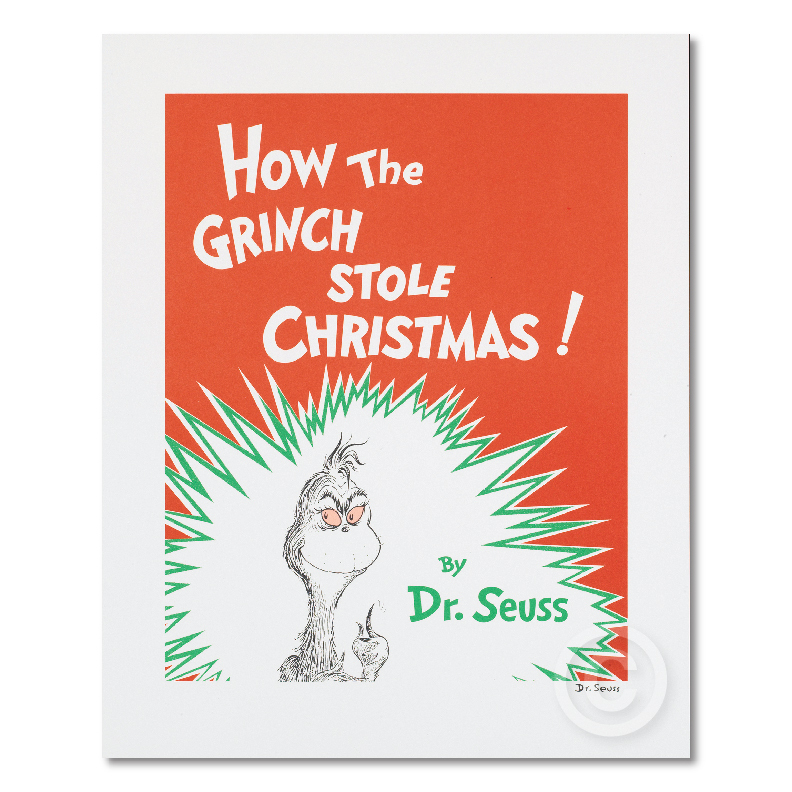 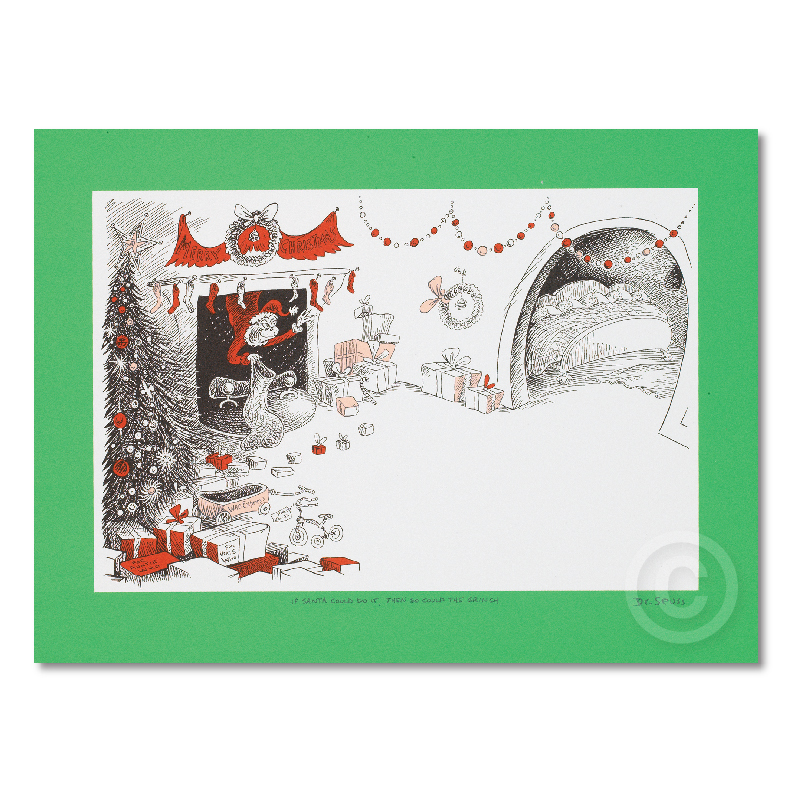 How The Grinch Stole Christmas and how he gave it back! 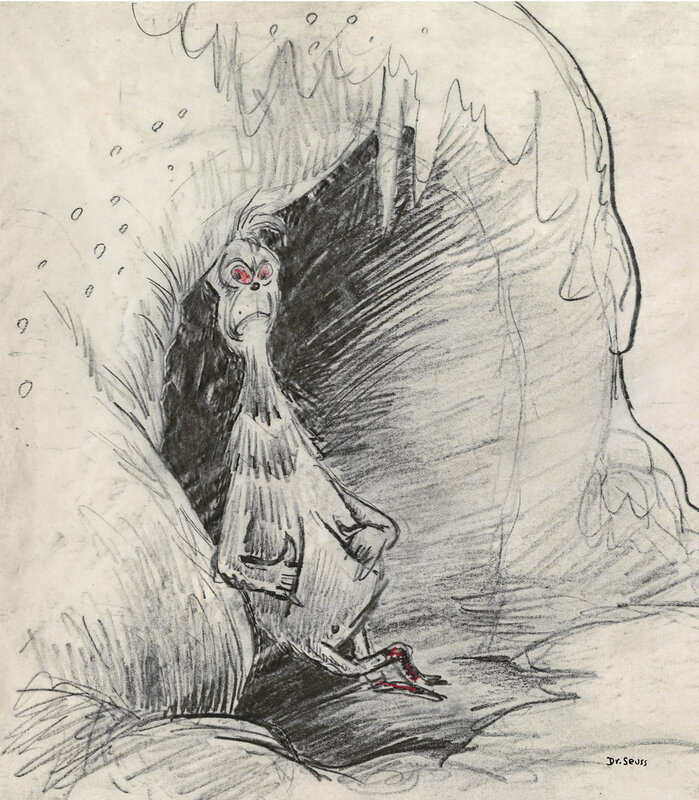 So how does one’s heart end up in such a state? 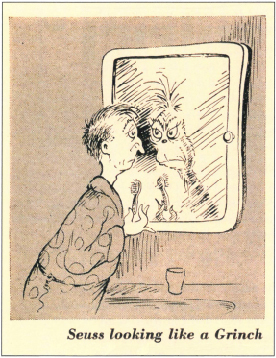 As seen above, he even drew this rare self-portrait of the artist as Grinch, an image he echoed later in his book. 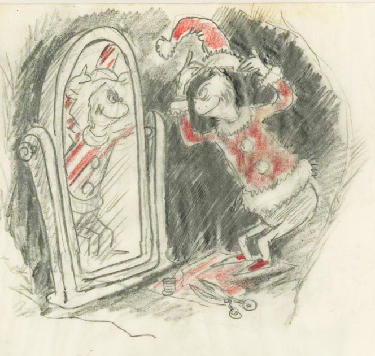 Upon this realization, The Grinch’s heart grows “three sizes that day!” and Seuss turns his holiday tale into one of inclusiveness, community spirit, and how gratitude can change everything. 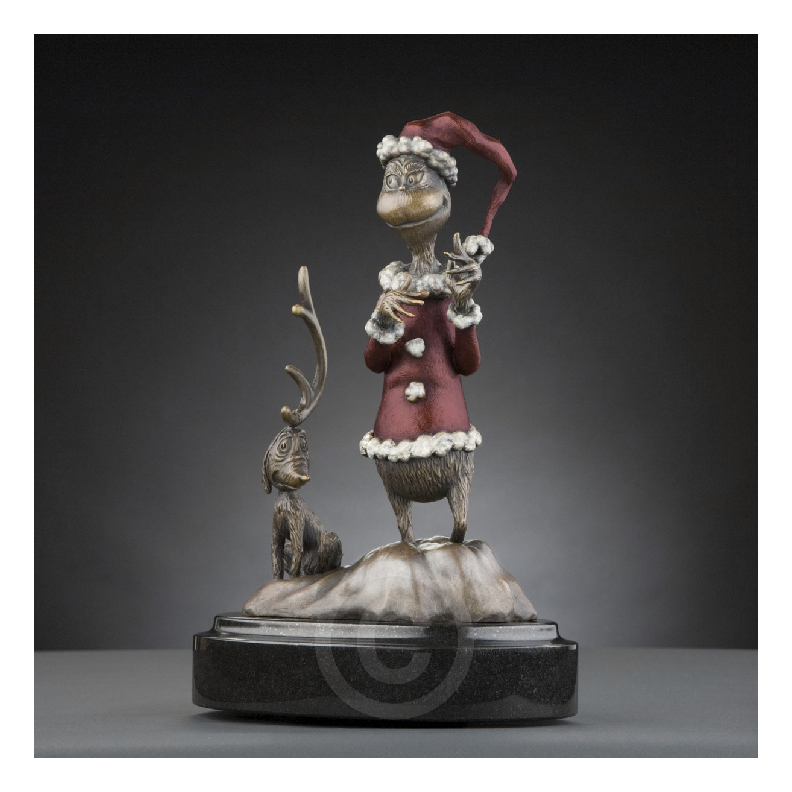 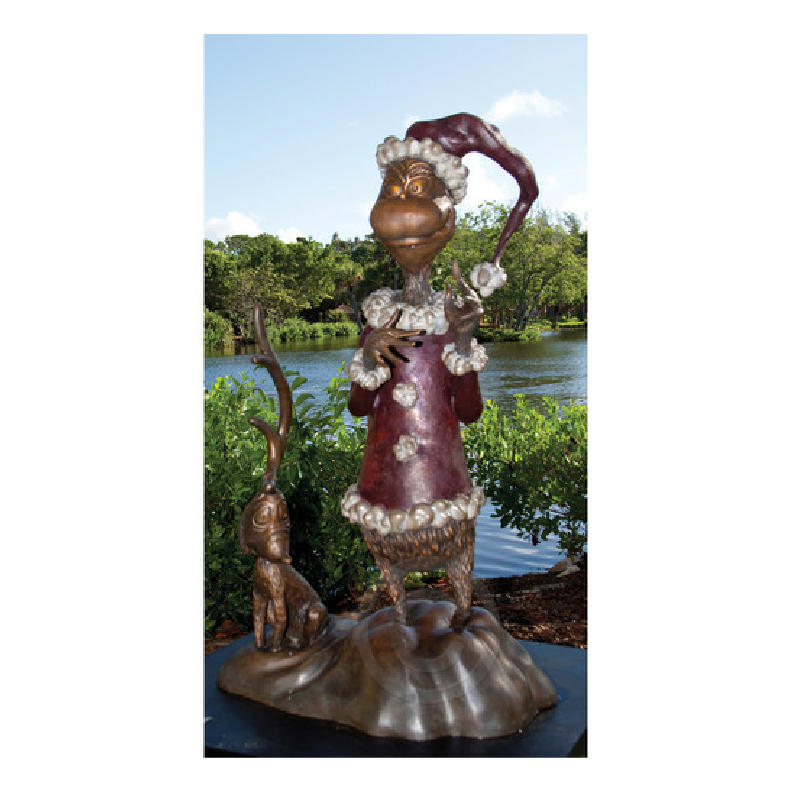 These two Grinch artworks join the rare Grinch Collection, comprised of bespoke mixed-media works on paper, collages, and bronze sculptures.